Even with court proceedings, there's an easy way and a hard way to accomplish most things. Probate – the process of settling someone's estate after death – can be either formal or informal in most states. The major distinction is court involvement. If you're named as executor and if you don't elect an informal probate, a judge will oversee virtually every step you take. Otherwise, you can typically operate on your own with just a little interaction with the court. Informal probate allows you to distribute the assets of your loved one's will with minimal involvement from the courts. Informal probate of an estate usually requires the consent and agreement of all beneficiaries and heirs. In some states, the terms of the will must not prohibit an informal proceeding. The greatest disqualifying event for settling an estate this way is a will contest – someone objects to the will's validity, either because she thinks a later will revokes it or because it fails to meet some other standard, such as that the testator was not of sound mind at the time he wrote it. You need only include a request for an informal probate – as opposed to formal probate – when you submit a petition to the court to open the estate. The petition is the usual first step in any probate proceeding in most states. It usually includes a request that the court name you as administrator or executor. After the court accepts your petition, you must usually send notice to all the estate's "interested persons." These would include beneficiaries – those named in the will – and heirs: close relatives who would stand to inherit if the deceased hadn't left a will. If no one objects, the court issues authorization for you to open probate and manage the estate. In some states, such as Michigan and Minnesota, you can only apply as executor if the deceased named you to do so in his will or if you yourself are an interested person. Because court involvement is minimal with an informal probate, the process is usually less expensive than a formal probate proceeding. You don't necessarily have to hire an attorney to assist you, although you might want to if the estate is large or complicated, and an informal probate doesn't necessarily prevent you from doing so. An informal probate usually only requires appearing before a court official, such as a registrar, on the few occasions that do require oversight, whereas formal proceedings typically take place before a judge. Although statutory procedures for both probates can be similar, appearing before a registrar is more relaxed and the events are usually quicker and more streamlined. 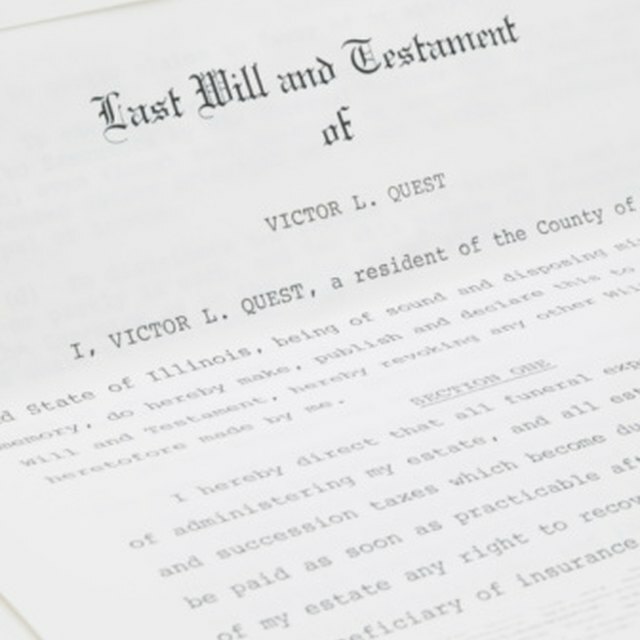 In some states, such as Minnesota, an informal probate allows the executor to skip certain steps entirely, such as submitting an inventory of the deceased's assets or a final accounting of the estate to the court. Some states, such as Wisconsin, allow heirs and beneficiaries to pull the plug on an informal probate at any time during the probate process. They can change their minds about their consent if they have concerns about how you're handling the estate without the court looking over your shoulder. They can file a petition demanding that a formal probate be initiated with court supervision and an attorney's involvement. If the estate includes real estate, transferring it to a beneficiary through an informal proceeding might not clear title sufficiently for a subsequent sale to a third party. Informal probate shouldn't be confused with other probate shortcuts. Its greatest advantage is usually the executor's right to act without seeking court approval at every turn, but she still must guide the estate through most probate procedures. Some states offer simplified probate proceedings for small estates, which are different. These may avoid many or all of the usual steps of the probate process, but they're typically limited to estates of modest value.